Three months in… | Anyone For Seconds? 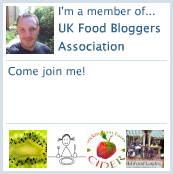 …and over 10,000 visitors later and I now really know and appreciate, that the effort and enjoyment of writing and running a foodie blog, has been worth it! I have made a lot of new great foodie friends worldwide and have them all to thank for their continued support and feedback, and hope to share many more recipes in the years to come with them. The best bit for me is reading all the other amazing recipes on other great blogs and giving me ideas on what to cook next. Wow, that’s awesome, well done! I am happy that my total number of visitors is in the hundreds! But as you say one of the best things about food blogging is getting to talk to other food bloggers and having access to hundreds of great recipes! Well done Giles – keep up the good work and look forward to seeing what you get up to next year.